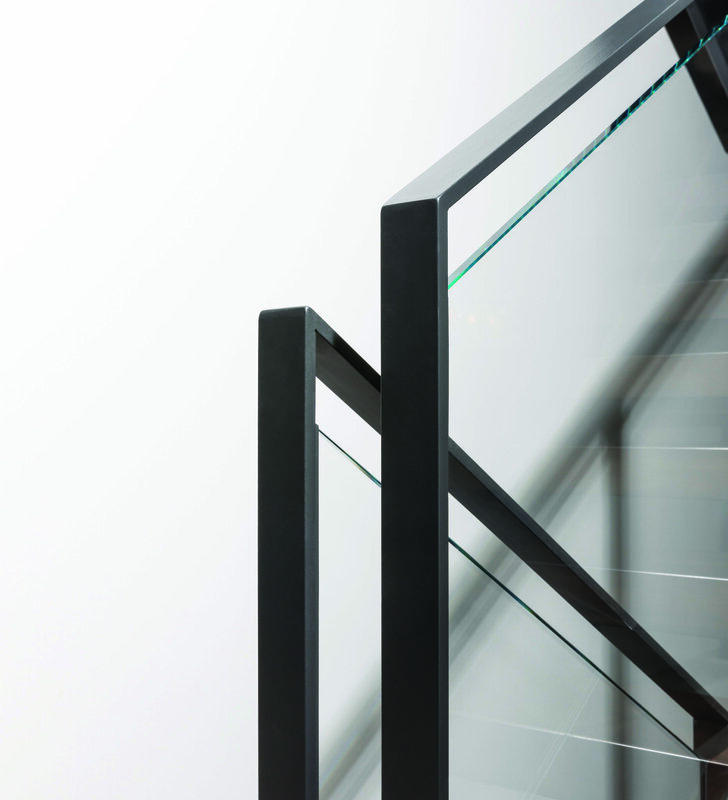 Drifting Shadow is breathtaking in its simplicity. 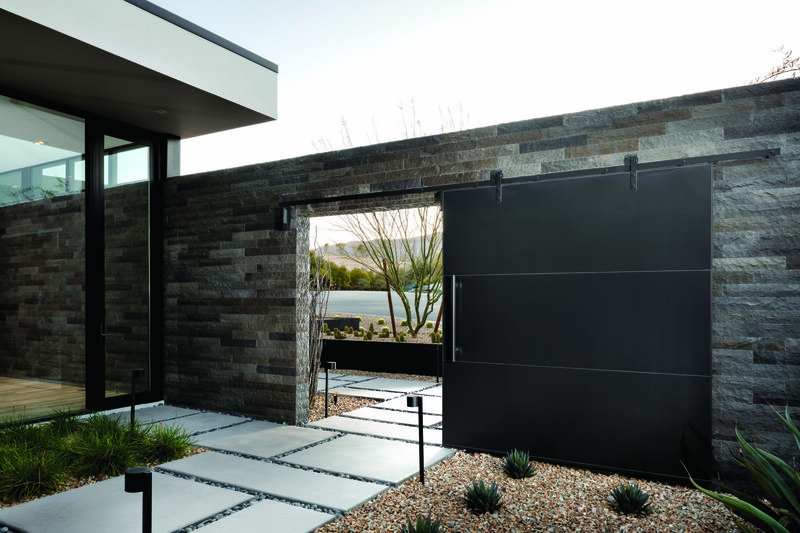 Perfect geometry, punctuated by artfully delineated desert landscaping. 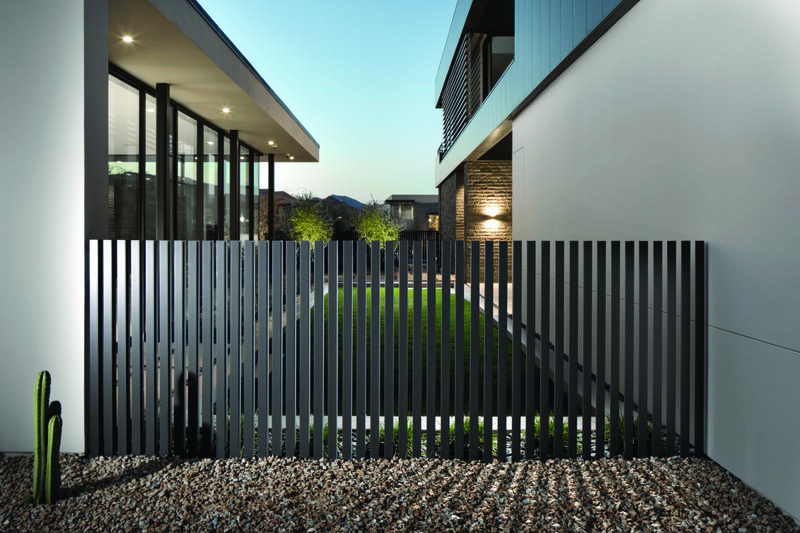 Great consideration was taken when designing and siting the home, with special attention paid to sunlight, shade and natural ventilation. 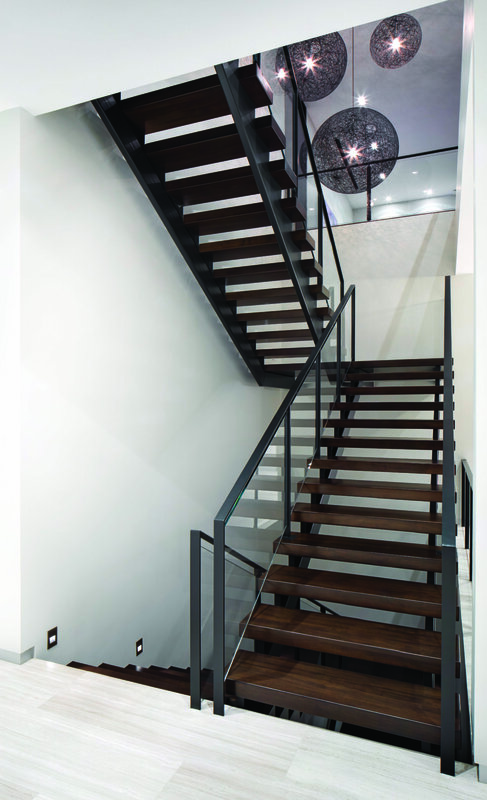 JD Stairs was commissioned by builder Blaser Construction and designer/architect assemblageSTUDIO to handcraft a collection of notable design elements for the property. 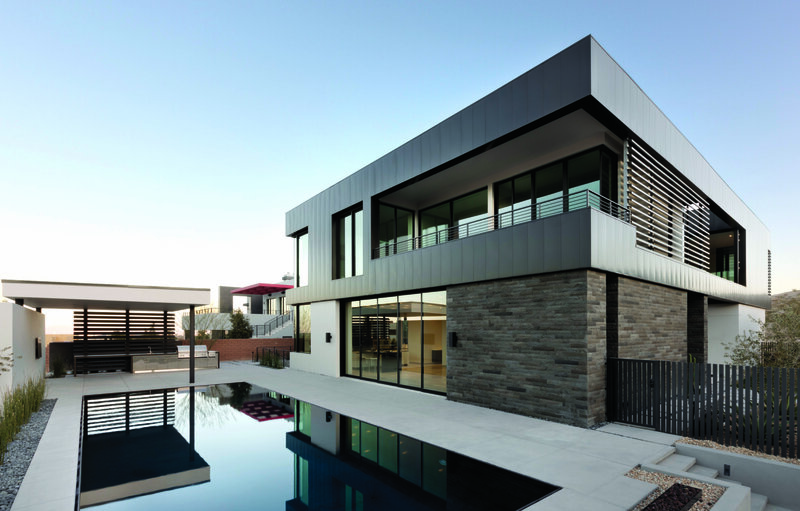 We began with the unseen; the important structural steel that lies beneath the framing and stucco – truly the bones of the home. 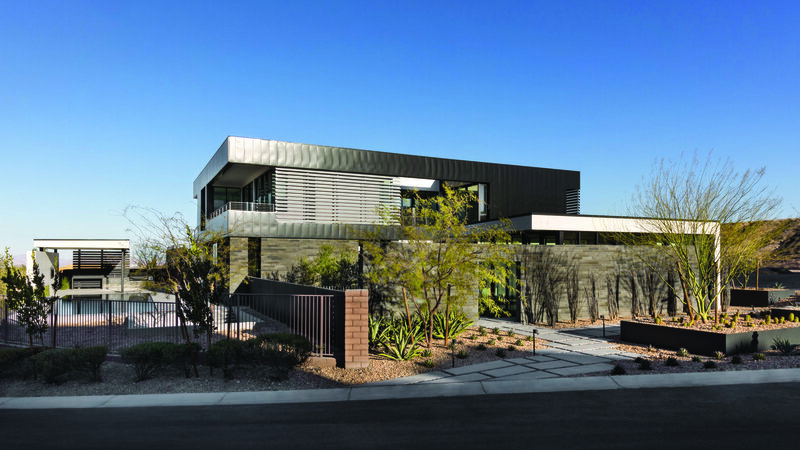 On the exterior of the residence we crafted bold steel cladding and louvers, reinforcing the desert modern design style while providing reprieve from the intense Las Vegas sun. 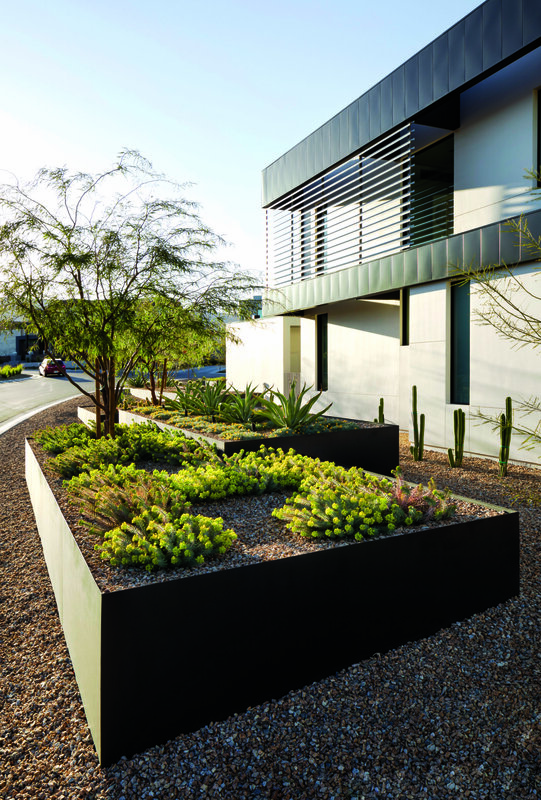 Satin black steel planters of various heights and sizes corral xeriscape plants within, while angle iron fencing embedded in the concrete shoots out of the landscape. 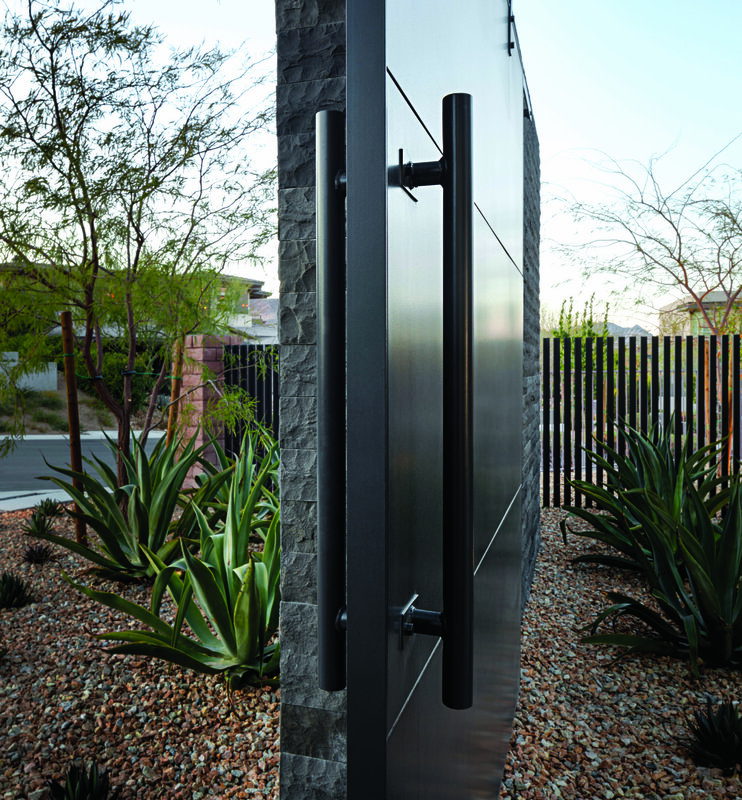 Visitors pass through to the inner courtyard via a blackened steel barn door that glides effortlessly once the magnetic lock is opened. 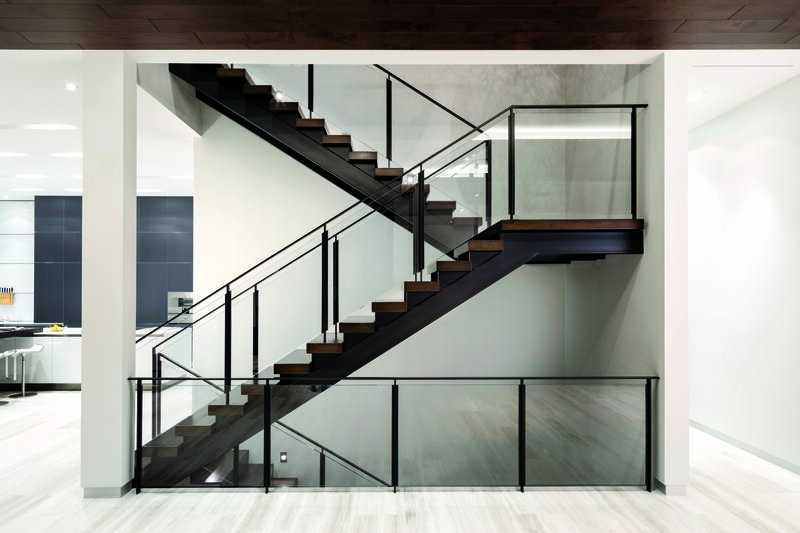 A sleek floating staircase made of steel, glass and smooth maple takes you up and down three flights. 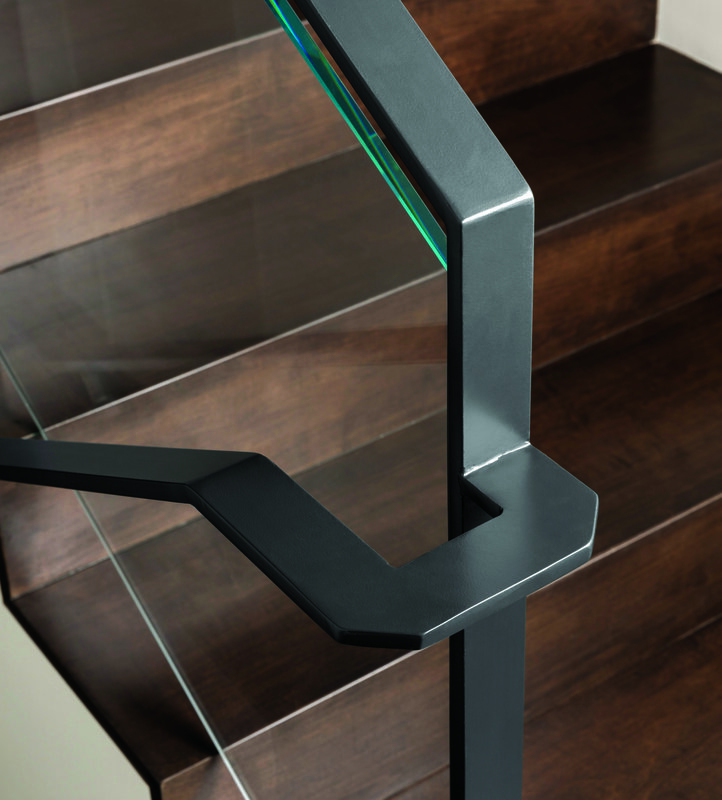 Our skilled metal and wood artisans create with meticulous attention to detail, including the clean, smooth connections of the invisible welds.